Move-in ready, extensively renovated, 3 bedroom, 2 bath home on one level in a prime location and zoned to award-winning Brushy Creek elementary, Northwood middle, and Riverside High! 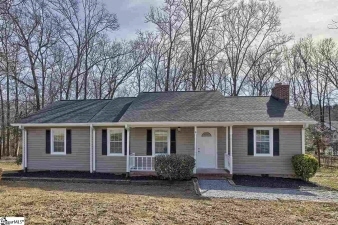 At this point you can do one of two things - stop reading and make an appointment to see this home, as there's a good chance someone is looking at it right now. Or you can keep reading and I can tell you that this home sits on an approximately 1/2 acre lot in an established subdivision with updates that include a new roof, new gutters, new siding, interior paint, new flooring, new kitchen cabinets and appliances, new faucets, doors, light fixtures, and the list goes on and on. By now you should be really excited about seeing this home - take a look before its gone.